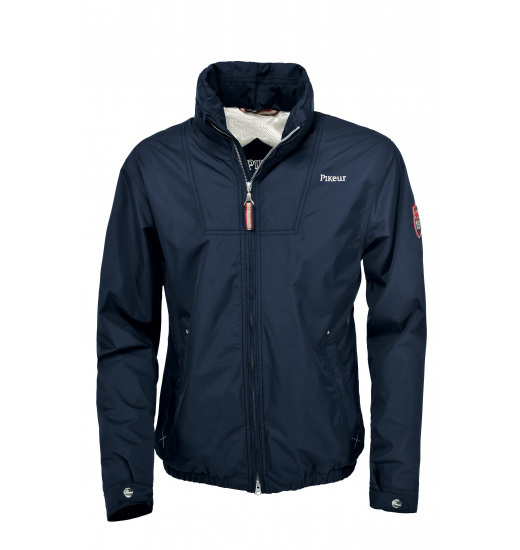 Pikeur Florido III rain jacket. 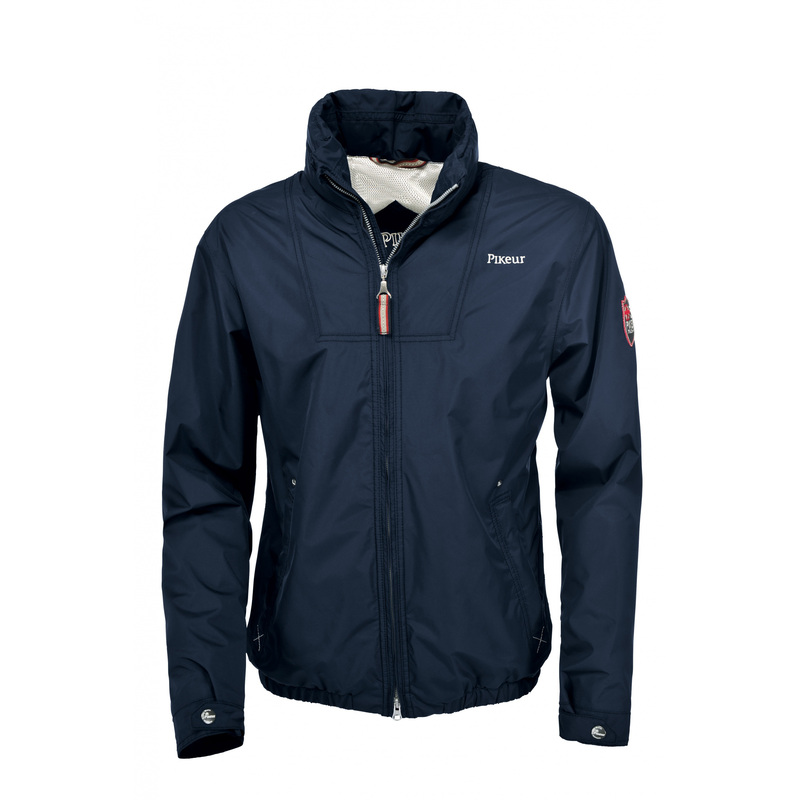 The jacket has a hidden hood and covered stitches due to which it is a 100% wind- and waterproof. The material structure and mesh lining, however, carried the heat and moisture excess to the outside. The jacket has a red and white Pikeur badge on a sleeve and an emblem on the chest.